Life Outside the Shell: Be YOUR Color! As I mentioned in my post about why I started this blog(you can read more about that here) I have been part of a class at my church that gave us a new assignment each week. One week we were told to write a devotional(had to be less than 300 words) then share it with someone. If you have never done anything like this before, I highly encourage trying it! I pray this devotional encourages you today! Did you know the numbers of color combinations in the world are endless? This is because color is affected by the amount of lighting, other colors in the picture and even the person viewing the colors. Can you imagine how boring and dull our world would look if God had created only one color? 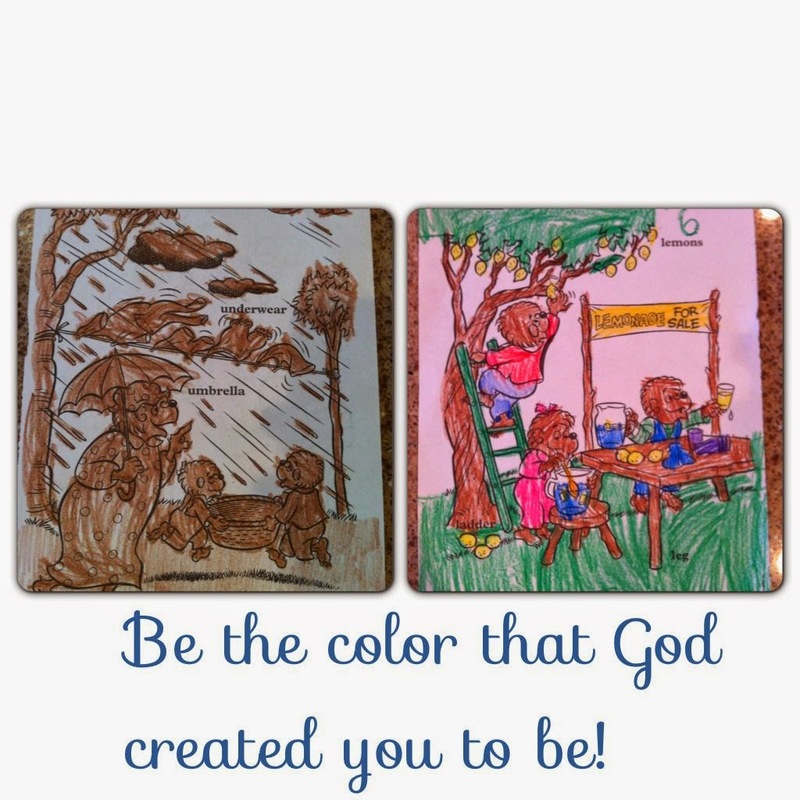 One afternoon as I was having my quiet time and sharing my insecurities to the Lord He gave me an idea to ask my daughters, ages 4 & 6, to color pictures. One picture I instructed them to color all one color and the other picture they could use as many colors as they wanted. He showed me that He created us all unique and assigned us a special color, or purpose, that only we can fulfill. When we compare our bodies, gifts, talents, careers, passions and more to others and try to be their “color” then we are missing the call on our lives and failing to display God’s true beauty to the world. As Genesis 1:27 tells us, we were created in the image of God. What color did God create you to be that is a reflection of Him? Pray: Dear God, thank you that I am fearfully and wonderfully made for a unique purpose that only I can fulfill. Please forgive me for comparing myself to others. Show me how to use my color to paint a beautiful masterpiece that only you can fulfill. In Jesus name, Amen. Thanks, Rachael. I cannot tell you how much this ministered to me today! I am so very proud of the woman of God you are and what a precious Godly wife and Mother you are. I'm blessed daily that I knew you "when" and can now sit back and glean all you have become to all who know and love you. I do love you very much. Auntie Sue. PS...Keep the blogs coming, please! Thank you Meredith!! I love God connections:) Looking forward to following along with your blog!